NAZARETH — Hebrew media sources have revealed that an atmosphere of pessimism prevailed in the meeting of US Vice-president Joe Biden with Egyptian president Husni Mubarak in Sharm e-Sheikh due to the failure of the steel barrier strategy in tightening the grip on the besieged Gaza Strip. Military and security consultants from both countries were profoundly disappointed after “Hamas engineers” in the Gaza Strip succeeded in penetrating the barrier, the sources added. The sources also disclosed that reports received by Biden alleged that “Hamas engineers” succeeded in excavating 18 meters under the ground and in planting burning materials in the way of the steel slabs that melted the foundations of the barrier and made them of no effect. Furthermore, the sources said that that the USA decided to abandon the project and stopped financing it, and started to pull out all American military engineers participating in and supervising the project. The US-Egypt plan was meant to destroy all tunnels along the Gaza Strip borders with Egypt in a bid to complete the Israeli siege and suffocate the 1.6 million Palestinians living in the Strip. Venezuela is now the world’s second biggest holder of proved oil reserves, overtaking the Gulf producers Iran, Iraq and Kuwait. In the 2010 edition of its benchmark Statistical Review of World Energy, which was published last week, BP has made substantial upwards revisions to its estimates of Venezuela’s oil reserves for both last year and 2008. It appears to have included in its latest tally about 73 billion barrels of heavy crude reserves for which the South American country has long sought recognition from Opec. That has boosted the company’s estimate of Venezuelan oil reserves by more than 73%, following a smaller revision last year. According to BP, the Middle East’s share of global oil reserves has shrunk by almost 10 percentage points in the past two decades, as producers in South America, Eurasia and Africa have established more commercially viable deposits of the world’s leading fuel. Those countries now officially include Venezuela. BP has set at 56.6% its estimate of the proportion of the world’s proved oil reserves that are located in the Middle East. That is down from 65.7% in 1989. Despite the region’s diminished standing as a source of future crude supply, Middle Eastern oil reserves have increased by 14% in the past 20 years to 754 billion barrels, according to BP. Over the same period, however, the world’s total proved oil reserves have expanded more than twice as fast, swelling by nearly a third to 1.33 trillion barrels by the end of last year from 1 trillion barrels two decades earlier. The world’s top six holders of oil reserves, according to the latest BP league table, are now, in descending order, Saudi Arabia, Venezuela, Iran, Iraq, Kuwait and the UAE, all of which are OPEC members. Russia was last year’s top oil producer, pumping more than 10 million barrels per day, followed by Saudi Arabia and the US. Russia and Saudi Arabia were also the world’s leading oil exporters. Unlike those countries, the US is a net importer of oil. The review ranked the UAE as the eighth most prolific oil producer last year. The nation’s output, averaging 2.6 million barrels per day (bpd), narrowly exceeded those of Iraq and Kuwait, which each pumped 2.48 million bpd of crude. Venezuela’s oil output averaged 2.44 million bpd, putting the South American state within range of overtaking every Gulf oil producer except Saudi Arabia and Iran. As OPEC’s biggest western hemisphere oil producer and a founding member of the group, Venezuela has been pushing for a higher OPEC production quota based on recognition of its large reserves of “unconventional” heavy crude. Venezuela can still develop those deposits while honouring its commitment to OPEC because the group’s production quotas exclude unconventional oil. Formal recognition of the reserves and a higher quota, however, would give Venezuela the country more flexibility to raise its output of lighter crude, which is usually more profitable to produce. Another landmark emerging from BP’s latest data is that Brazil’s oil production has for the first time exceeded 2 million bpd. Brazil pumped almost as much crude as Nigeria last year and surpassed the output of five other OPEC producers. Brazilian production rose by 7.1% to 2.03 million bpd, cementing the country’s position as South America’s second biggest oil producer. US oil output, which had fallen in 2008, rebounded last year by 7% to 7.12 million bpd. The 462,000 bpd increase was “by far” the world’s biggest and came mainly from the Gulf of Mexico, said Tony Hayward, the chief executive of BP. The Middle East remained the world’s top oil producing region last year, accounting for more than 34% of the global total. It was followed by Europe/Eurasia and North America. In terms of gas, the biggest change from last year, according to BP’s data, was a 13.9% increase in Venezuela’s reserves. On the basis of their proved reserves, the reigning monarchs of the gas world are Russia, Iran and Qatar, which between them hold nearly 3.5 quadrillion cubic feet of reserves representing 53% of the global total. Venezuela’s gas reserves, at 200 trillion cubic feet, are now the eighth largest in the world. The UAE has 227 trillion cubic feet of reserves, putting it in seventh place. Gas reserves in Russia and Saudi Arabia also increased last year. Russian reserves grew by 2.5% to 1.57 quadrillion cubic feet. Those of Saudi Arabia swelled by 4.6% to 280 trillion cubic feet. Global gas reserves have increased 53% in the past 20 years, outpacing oil. The Middle East’s share has expanded to 40.6 from 30.9%, largely due to development of the world’s biggest gasfield, which is shared by Qatar and Iran. While pro-Palestinian activists and supporters of Israel lined opposite sides of South LaSalle Street outside the Northern Trust Building in Chicago on 9 June, James Owens, the outgoing CEO and Chairman of Caterpillar Inc., told a room full of shareholders the company was not responsible for the way Israel uses the bulldozers the company manufactures in the United States. Owens made his remarks at the end of the annual shareholders meeting, which had been disrupted 14 times by individual protestors who stood up one by one and loudly proclaimed that the Israeli military uses Caterpillar’s D9 bulldozer to raze farmland, uproot olive groves and demolish homes, sometimes crushing people inside. As each activist stood, as many as five plain-clothed security personnel descended upon the speaker and physically escorted him or her from the room. At one point, the audience started chanting, “Out, out, out” as activists were lead away. Owens maintained the company “can’t manage the four million pieces of equipment out there,” adding that if Caterpillar did not sell the machines to Israel, the bulldozers still could be purchased off the Internet. In addition, Owens hid behind the US Foreign Military Sales program, which handles the sales of the CAT machines to Israel. “We’re not in the business of international relations. You need to take it up with Washington,” Owens said. Several humanitarian organizations contend that since the D9 is sold through the FMS program the bulldozers qualify as weapons and as such Israel’s use of them to illegally demolish homes and target civilians violates the US Arms Export Control Act of 1976, which prohibits the use of military aid against civilians, according to a 2004 University of Wisconsin document on its investments in trust funds. The D9 is no ordinary earthmover: it is more than 13 feet tall and 26 feet wide, weighs more than 60 tons with its armored plating, and can raze houses in a matter of minutes, according to the Center for Constitutional Rights. The CCR is one of the organizations that helped Cindy and Craig Corrie bring lawsuits against Caterpillar and the State of Israel for the 2003 death of their daughter, Rachel. An Israeli soldier driving a CAT bulldozer crushed Rachel as she was defending a home in Gaza, targeted for illegal demolition. The case against CAT was dismissed but a civil trial began in Tel Aviv in March. In addition to being retrofitted to hold heavy machine guns and in some cases grenade launchers, many D9 bulldozers are now driverless and can be operated by remote control, according to a March 2009 article in The Jerusalem Post. “The unmanned D9 performed remarkably during Operation Cast Lead,” a commander was quoted as saying in the article. The Israeli military also used the driverless vehicle, dubbed “Black Thunder,” in the 2006 war on Lebanon. The commander was not named in the article. Israel has demolished some 24,000 homes using the D9 since it illegally occupied the West Bank, Gaza and Jerusalem in 1967, according to Joel Finkel of Jewish Voice for Peace, who introduced a shareholder proposal requesting a review of CAT’s global corporate standards. “This means that Israel has intentionally made hundreds of thousands of people homeless. … For decades, its primary tool to accomplish this has been the D9 bulldozer, which our company builds and services solely to help Israel cleanse Palestine of its non-Jewish inhabitants by destroying their homes,” he said. In 2003, Caterpillar’s sales and revenue totaled $22.8 billion, with more than half of that coming from overseas markets. This year, the company projects sales and revenues to reach as high as $42 billion, with a goal of $100 billion by the year 2020. Dividend payouts have increased 125 percent since 2003, according to the Quarter 1 2010 analyst conference call, filed with the US Securities and Exchange Commission. While CAT executives point to emerging markets such as Latin America for the company’s recent growth, revenues were down by about 22 percent in the first quarter of 2010 in the Europe, Africa and Middle East sector compared to the same period in 2009. The shareholder proposal asked Caterpillar to amend its current policy, the “Worldwide Code of Conduct” — which does not include language pertaining to international human rights — to conform with international human rights and humanitarian standards, according to the proxy statement filed with the US Security and Exchange Commission in April. Shareholders have been submitting proposals to the annual shareholders meeting since 2004, when members of the Catholic organizations Sisters of Loretto and the Ursuline Sisters submitted a proposal in 2004 asking CAT to probe how Israel used the bulldozers. Then, the proposal was supported by a mere four percent of shareholders; 20 percent supported the current proposal Wednesday. That the Israeli military uses the bulldozers has been well-established. Now, however, the military is taking things a step further. The Israeli military is now conscripting Caterpillar mechanics as “reservist soldiers” so they can maintain the machines on the front lines in an Israeli military operation, according to a November 2009 article in the Israeli daily Haaretz. “During Operation Cast Lead and before, during the Second Lebanon War, our staff essentially volunteered, and were nearly at the front in order to care for the equipment. Sometimes they risked their lives,” Yossi Smira, director of Zoko Shiluvim, which owns the Israeli company that supplies the armored bulldozer, said in the article. Meanwhile, the expelled activists were convened in an alley near a back door, waiting to receive their cell phones and other electronic items, which had to be checked prior to the meeting. They waited for more than two hours. And when a guard finally brought their items, he brought them from the fifth floor — one at a time. The group of 14 was convened by Matt Gaines of Chicagoans Against Apartheid in Palestine. Activists travelled from Boston, St. Louis and Louisville to attend the shareholders meeting. The only ticketed offense during the day came when Jeff Pickert of Chicago was cited by Chicago police for “incitement” after a pro-Zionist protestor punched him in the chest. Pickert was not allowed to file a complaint against the man who hit him, he said. Kristin Szremski is the director of media and communications for American Muslims for Palestine. She is also a freelance journalist based near Chicago. “We’d like to know where he is; we’d like his cooperation in this,” one U.S. official said of Assange. Pentagon investigators are trying to determine the whereabouts of the Australian-born founder of the secretive website Wikileaks for fear that he may be about to publish a huge cache of classified State Department cables that, if made public, could do serious damage to national security, government officials tell The Daily Beast. The officials acknowledge that even if they found the website founder, Julian Assange, it is not clear what they could do to block publication of the cables on Wikileaks, which is nominally based on a server in Sweden and bills itself as a champion of whistleblowers. American officials said Pentagon investigators are convinced that Assange is in possession of at least some classified State Department cables leaked by a 22-year-old Army intelligence specialist, Bradley Manning of Potomac, Maryland, who is now in custody in Kuwait. And given the contents of the cables, the feds have good reason to be concerned. As The Daily Beast reported June 8, Manning, while posted in Iraq, apparently had special access to cables prepared by diplomats and State Department officials throughout the Middle East, regarding the workings of Arab governments and their leaders, according to an American diplomat. American officials would not discuss the methods being used to find Assange, nor would they say if they had information to suggest where he is now. “We’d like to know where he is; we’d like his cooperation in this,” one U.S. official said of Assange. Assange, who first gained notoriety as a computer hacker, is as secretive as his website and has no permanent home. He was scheduled to speak Friday in Las Vegas at an International Reporters and Editors conference. But the group’s executive director, Mark Horvit, tells The Daily Beast that Assange canceled the appearance—he was on a panel to discuss anonymous sources—within the last several days as a result of unspecificed “security concerns.” Horvit said he communicated with Assange through email and did not know where he might be. Last week, Assange was scheduled to join famed Pentagon Papers leaker Daniel Ellsberg for a talk at New York’s Personal Democracy Forum. Assange appeared via Skype from Australia instead, saying lawyers recommended he not return to the United States. Assange was in the United States as recently as several weeks ago, when he gave press interviews to promote the website’s release of an explosive 2007 video of an American helicopter attack in Baghdad that left 12 people dead, including two employees of the news agency Reuters. Wikileaks has not replied directly to email messages from The Daily Beast. Pentagon investigators say that particular post may have been an effort by Wikileaks to throw them—and news organizations—off the track as the site prepared the library of State Department cables for release, officials said. American officials were unwilling to say what would happen if Assange is tracked down, although they suggested they would have many more legal options available to them if he were still somewhere in the United States. Manning was turned in to the Pentagon by a former computer hacker based in California, Adrian Lamo, after Manning approached Lamo for counsel. Manning is believed to have contacted Lamo after reading a recent profile of him in Wired. In the chat log revealed by Wired, Manning bragged to Lamo about having downloaded a huge library of State Department cables, as well as the 2007 video of the helicopter attack, and having provided the material to Wikileaks. Manning took credit for having leaked a classified diplomatic cable that has already appeared on the site—a memo prepared by the United States embassy in Reykjavik, Iceland, that described a meeting there between American and Icelandic officials over that country’s banking meltdown. The January 2010 memo may have been of special interest to Wikileaks given the site’s close ties to Iceland, where Assange has based himself at times and where he worked with local lawmakers to draft free-speech laws that give broad freedom to journalists to protect their sources. A profile this week in The New Yorker magazine depicted Assange feverishly at work with Icelandic colleagues in Reykjavik in March as he organized the release of the 2007 video of the helicopter attack. The edited video was given the title Collateral Murder, and its release infuriated officials at the Defense Department. With its network of whistleblowers, Wikileaks has published documents and videos on its site that have outraged other foreign governments. To protect the site from attack by intelligence agencies, Assange has placed Wikileaks on several Internet servers, making it all but impossible for any government to shut down the site entirely. The Israeli raid on the Gaza flotilla that resulted in the deaths of eight Turkish citizens and one Turkish-American has led Israel and its supporters to argue that the Turkish government and a prominent Turkish humanitarian organization are “terrorist” sympathizers with ill intentions toward Israel and the United States. In a series of articles, the U.S. corporate press has joined in. Yesterday, the Washington Post reported that IHH, the Turkish aid group involved with the flotilla that attempted to break Israel’s blockade of Gaza, has a “dual message of aid and confrontation.” Their evidence for the confrontational attitude of IHH? A banner on the side of their building that reads, “Israel, murderers, hands off our boats!” Don’t pay attention to the fact that IHH was attempting to deliver humanitarian aid to the Gaza Strip, and that it was Israel that confronted and killed people on the ship. What’s not mentioned in the Post article is that no government besides Israel considers IHH a terrorist organization. In fact, IHH delivered humanitarian aid to Haiti in the aftermath of the January earthquake at a time when the United States military took a leading role in directing relief efforts there. Would the U.S. have allowed a terrorist organization into Haiti? IHH has also helped out in New Orleans. Marsha B. Cohen, an expert on U.S. foreign policy in the Middle East, has already debunked IHH’s “terror ties” here at Mondoweiss and cast doubt on the credentials of Evan Kohlmann, pointing to a Spinwatch.org article on Kohlmann that thoroughly details his lack of expertise. Andy Worthington, author of The Guantanamo Files, noted that Kohlmann assisted in the prosecution of Osama bin Laden’s former driver by producing a film that was “pure propaganda,” raking in $45,000 for the film and his testimony as an “expert witness” in the much criticized trial. In the group’s two-story headquarters, IHH members — mostly men in their 30s and 40s dressed in jeans or casual business attire — oversee operations in dozens of countries. The group provides humanitarian aid such as freshwater wells and medical care, as well as Islamic services such as training for prayer leaders. A world map on one wall depicted Palestine, but not Israel. It would appear that there are Zionists in Austin, Texas, who share the same sentiment and have decided to enlist the services of the FBI in order to pursue their political agenda. What other plausible explanation can there be as to why the FBI came to question the mother of five shown in this video? She is a part-time registered nurse and part-time peace activist whose only form of “suspicious” behavior is that she has participated in protests calling for justice in Palestine. Israel appears to be in more serious trouble diplomatically than at any time in its history following the botched attack by an “elite” commando squad on the Mavi Marmara that left at least nine dead and scores wounded. Thanks to Al-Jazeera and Iran’s PressTV, whose reporters were aboard the ship, much of the world was able to watch the attack unfold on its TV and computer screens and the result has been an avalanche of outrage and ongoing protests against the Jewish state. Within Israel this has led to finger-pointing and calls for resignations while its hasbara machinery has gone rapidly into damage-control and disinformation mode. Lest we forget, the first U.S. official to give Israel’s bloody assault a thumbs up sign was Vice President Joe Biden. The former Delaware senator has been a key part of Israel’s hasbara branch, American section, since entering the Senate in 1973 and on the Wednesday following the Israeli attack, he appeared on the Charlie Rose Show where he showed no hesitation in defending Israel’s handling of the raid, something that President Obama had been reluctant to do. But isn’t that why Joe was picked for the job? Was it not to get the vote and the money from those Jews who were afraid that Barack Obama –who they suspected of being a closet Muslim—was no true friend of Israel? “Bottom line,” concluded Rosenberg, “the Biden choice pretty much eliminated Obama’s ‘Jewish problem.’” That was then and now it doesn’t seem to matter what position Obama takes, Biden seems to answer to his real boss. And it ain’t Barack. Appearing on the Charlie Rose show was but the latest assignment for Biden in his long career of serving Israel, the first 35 years of which he was drawing salary and gaining political clout as a US Senator for a state whose population is only slightly larger than that of San Francisco (783,600 to 776,733). No big deal, Joe, at least nine dead, or four less than the number of Israelis killed since the first Palestinian rocket was fired from Gaza. And notice how easily he says “my” and pretends that rockets are still being fired from Gaza. That “my” was not a Freudian slip. Like scores of other US politicians who have traded their political souls for access to the seemingly bottomless checking accounts of Israel’s American supporters, Biden has become a poster boy for “dual loyalty.” Given that he has done this as a member of Congress and continues to do so while now a heartbeat from the White House should probably qualify him for a treason trial and a cell next to Jonathan Pollard. Asked about his prospective cell neighbor, sentenced to life-imprisonment in 1985 for turning over mounds of top secret information to Israel, Biden spoke of leniency for Pollard but not a pardon. 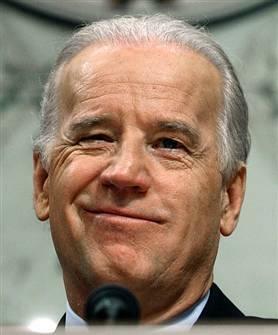 “There’s a rationale, in my view, why Pollard should be given leniency,” said Biden. “But there is not a rationale to say, ‘What happened did not happen and should be pardoned. '” In other words, should Biden become president, it is likely that Pollard would be freed. Looking at Biden’s track record, it would seem that he has not just been a key cheerleader for Israel; he has aspired to be a member of its coaching staff. Speaking to an AIPAC meeting in 1992, he was quoted by the organization’s Near East Report as saying that it was time to “tell the American people straight out that it’s in our naked self-interest to see to it that the moral commitment and political commitment is kept with regard to Israel and that Israel is not the cause of our problem, but the essence of the solution.” This was in response to President George H.W. Bush’s second refusal to support Israel’s demand for $10 billion in loan guarantees. 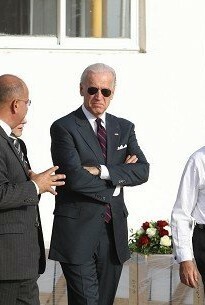 Which of America’s problems Israel was able to solve Biden didn’t mention. “Be prepared to both convert and be prepared to deal with those who are not converted…. At that time Biden gave his San Francisco speech, he had taken in over $100,000 from pro-Israel PACs which was small change compared to what he had received in individual donations. By far the largest of these came in 1988, when he made his first bid for the presidency. It was a $1.5 million gift from San Francisco financial real estate magnate Walter Shorenstein, who was, by no coincidence, AIPAC’s main man in California as well a major player in the state’s Democratic Party. It turned out to be a poor investment since that was the year that Biden was caught plagiarizing a speech by British Labor leader Neil Kinnock and had to withdraw from the race. In 2007, true to form, Biden took the lead in the Senate in rejecting the Iraq Study Group’s conclusion that the United States would not be able to achieve its goals in Iraq unless it “deals directly with the Arab-Israeli conflict,” a view taken more recently by Gen. David Petraeus. “I do not accept the notion of linkage between Iraq and the Arab-Israeli conflict,” Biden said during his opening remarks at a January 17, 2007, Senate hearing. “Arab-Israeli peace is worth pursuing vigorously on its own merits, but even if a peace treaty were signed tomorrow, it would not end the civil war in Iraq.” It was not that the study group said that it would but it was convenient straw man for Biden. It was not his first comment on Iraq. It may be recalled that on May 1, 2006, Biden had co-authored an op-ed piece for the NY Times with his guru, Leslie Gelb, a former Times columnist and president emeritus of the Council on Foreign Relations, that called for Iraq to be divided into three confessional states. It was starkly similar to what had been written in a policy paper back in 1982 by Oded Yinon, a senior Israeli foreign affairs official, in which he wrote that, “To dissolve Iraq is even more important for us than dissolving Syria. In the short term, it’s Iraqi power that constitutes the greatest threat to Israel.” Gelb had first raised the issue in an op-ed in the Times in November, 2003. During the 2008 election campaign Biden was outraged to find his loyalty to Israel being questioned by what he reportedly thought was AIPAC but which turned out to be the Republican Jewish Coalition. The RJC had accused him of not towing the AIPAC line on one or two occasions which caused Biden to defend his willingness to oppose AIPAC on some pieces of legislation. In a 20-minute conference call with members of the Jewish media that September, Biden said it was up to the Israelis to make decisions about war and peace, including whether to launch a strike aimed at disrupting Iran’s nuclear program. “This is not a question for us to tell the Israelis what they can and cannot do,” said the Democratic vice presidential candidate. “”Israel has the right to defend itself and it doesn’t have to ask, just as any other free and independent country. I have faith in the democracy of Israel. They will arrive at the right decision that they view as being in their own interests.” That as vice-president his job would be to protect US interests and not Israel’s and that an attack on Iran might jeopardize American interests either had not occurred to him or was of no concern. “If ever there was a true friend of Israel in the United States Senate it is Joe Biden. Oh yes, there were also Owen Brewster, Republican from Maine, and Guy Gillette, Democrat from Iowa. But that goes back to the very founding of the state. Toward the end of his speech, Biden timorously advanced a position that has long been official US policy. “You’re not going to like my saying this,” he said, but [do]not build more settlements, dismantle existing outposts, and allow the Palestinians freedom of movement.” There was no applause. In 1994, Biden was a key player in one of the ugliest episodes in American political history and one that characterizes the subservience of Washington to Israel in its way much as did the cover-up of Israel ‘s attack on the USS Liberty 53 years ago on June 8th. Talbott was referring to Israel’s destruction of the Iraqi nuclear reactor at Osirak and a deadly bombing raid over Beirut that killed over 100 people and wounded 600 more, most of them civilians. Talbott had advised that, “If Israel continues to take international law into its own hands as violently—and as embarrassingly to the US—as it did in Baghdad and Beirut, then the next display of US displeasure ought to be more sustained and less symbolic. It might include severe cutbacks in American military aid, which is $1.2 billion for fiscal ’81 alone. [It is now officially $3 billion]. In the article Talbott, had written that “Begin recognized that American Jews wield influence far beyond their numbers, but he also knew that there is considerable pent-up irritation in the US with the power of the pro-Israel lobby (which includes, of course, many non-Jews).” It was clearly his own opinion, as well. Mind you, Talbott had questioned Israel’s strategic value to the US in 1981, in the heart of the Cold War when he was considered one of the main stream media’s ranking Soviet experts. Before going before the Senate, he had become a senior adviser on the former Soviet Union to the Clinton White House. By 1994, with the Soviet bloc no longer in the picture, it was generally agreed, even in Tel Aviv, that Israel’s value to the US had been severely diminished. “Yes, senator, I do,” he obediently replied. His “conversion” process having been completed, Talbott received the senator’s and subsequently the Senate’s approval. The reader should not be left with the impression that Joe Biden’s prime passions are limited to the love of Israel. While in the Senate, he was a key supporter of the credit card industry, much of which is based in Delaware thanks to its cozy industry friendly tax laws and he was a key beneficiary of its campaign contributions. In return, he became a leading supporter of the “Bankruptcy Abuse Prevention and Consumer Protection Act of 2005” which, despite its title, made it harder for consumers to get protection under bankruptcy. But even the Times wasn’t buying that. Biden, the paper noted, was one of only five Democrats who voted against a proposal that would require credit card companies to provide more effective warnings to consumers about the consequences of paying only the minimum amount due each month. Obama had voted for it. Biden differed with Obama again when he helped to defeat amendments which would have strengthened protections for people forced into bankruptcy who have large medical debts or are in the military. He was also one of four Democrats who sided with Republicans to defeat an effort, supported by Obama, to shift responsibility in certain cases from debtors to the predatory lenders who helped push them into bankruptcy. So why did Obama pick Biden for his running mate? We already know the answer. NATO is facing war of attrition in Afghanistan as four US occupation soldiers were killed Wednesday when Taliban militants shot down a NATO helicopter bringing to 23 the number of occupation soldiers killed in escalating violence since Sunday, and to 253 troops killed in the occupied country so far this year. This toll is scaring NATO countries, with the British Prime Minister David Cameron saying his country would not send more troops to Afghanistan. The International Security Assistance Force (ISAF) helicopter came down in Helmand province. “The helicopter was brought down by hostile fire,” a military spokesman said, announcing the toll. 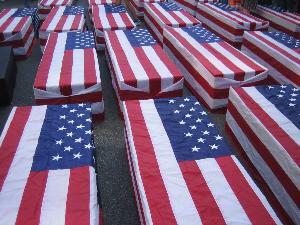 Lieutenant Colonel Joseph Breasseale confirmed that the killed soldiers were American. “It’s been a tough week,” Pentagon spokesman Bryan Whitman said in Washington, adding it was too early to say whether the downing of the helicopter, the first by hostile fire in nearly a year, marked a change in insurgent tactics or weaponry. The crash brought to five the number of NATO soldiers killed in the south on Wednesday, after London said a British soldier had died in an explosion elsewhere in Helmand. Twenty-three NATO soldiers have died since Sunday, including 10 on Monday, the deadliest day in combat for US-led forces in Afghanistan in two years, with seven Americans, two Australians and a French soldier killed. According to an AFP tally based on the casualties.org website, 253 occupation soldiers have been killed in Afghanistan this year. Last year was the deadliest yet, with 520 killed. In his first official visit to Afghanistan since he was declared as a PM, David Cameron told the news conference: “the issue of more troops is not remotely on the UK agenda”. Cameron, whose visit was not announced ahead of time for security reasons, held talks with Afghan President Hamid Karzai at the heavily guarded palace in Kabul before the two leaders held a joint news conference. Earlier, he declared Afghanistan “the most important foreign policy issue, the most important national security issue for my country”. Britain has around 9,500 troops in Afghanistan, mostly in the south, as part of a 46-nation force. It is the second-biggest contributor to the NATO-led mission after the United States. A total of 294 British occupation personnel have been killed in Afghanistan since the 2001 US-led invasion. Cameron’s new government has faced questions over whether it will follow the same strategy as his predecessor Gordon Brown and increasing public support for troops to come home. An Independent on Sunday/ComRes survey in April found that 77 percent of those questioned now supported a phased withdrawal and the end of operations within a year, up six percent in five months. British Defense Secretary Liam Fox, who visited Afghanistan shortly after the new government took power last month, caused controversy by telling the Times newspaper that he would like British troops to “come back as soon as possible”. 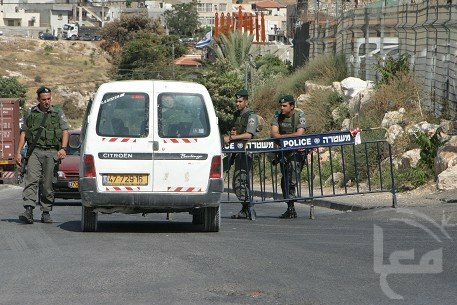 Jerusalem – A Palestinian man from Jerusalem was shot and killed by Israeli border guards on Friday, after he reportedly failed to stop at a checkpoint in the Wadi Joz neighborhood. Witnesses said he was in serious condition as he was taken to hospital, with Israeli news sites reporting that the man died en route to hospital. Officials identified the man as 38 year old Ziad Al-Julani, and later confirmed he was killed in the incident. Following the shooting, clashes erupted in the area, with Palestinian residents angered at what they said was a day of oppression and violence enforced by Israeli soldiers. Two women, a man, a senior citizen and a child in a nearby car were said to have been injured in the shouting that erupted after the shooting, with Israeli forces using rubber-coated bullets against the crowd. The four were transferred the Al-Maqasid Hospital for treatment. An Israeli border guard spokesman said Al-Julani drove his car at two border guards manning a checkpoint, installed as part of heavy security deployed throughout the city to restrict Palestinian movement following Friday prayers, and was shot in his vehicle. The spokesman said the two soldiers were lightly injured by the driver.